I’m not sure if most of you are aware of this, but consider this: there are only 3,200 tigers left in the world! Almost three times fewer than there were 10 years ago and more than 30 times fewer than 100 years ago (back then 100.000 tigers roamed freely through Asian jungles. This includes the three tiger sub-species that went instinct across the century) – and, yes, the numbers aren’t getting ever dimmer. This is an issue that has been presented over and over again, but still it seems that no matter how great the effort the tigers still keep on dying. This is mainly due to habitat loss, massive poaching without considerable consequences from behalf of the authorities, ecotourism, as well as apathy, to name a few – all of these have almost driven tigers extinct! Currently there are only six tiger sub-species left in the world (Eastern Russia, China, India and Indonesia), all of which are on IUCN’s critically endangered list. The remainder tiger species are the: Bengal Tiger, Siberian Tiger, Sumatran Tiger, Malayan Tiger, Indochinese Tiger and South China Tiger. 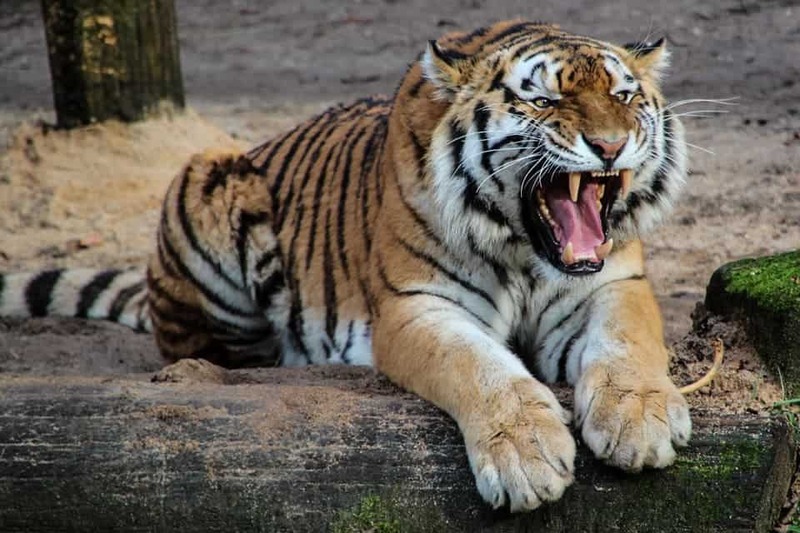 Out of the six sub-species left, the South China tiger has it the worse with only 47 specimens still alive today, located in captivity (zoos), while a few other can be found in the wilderness. 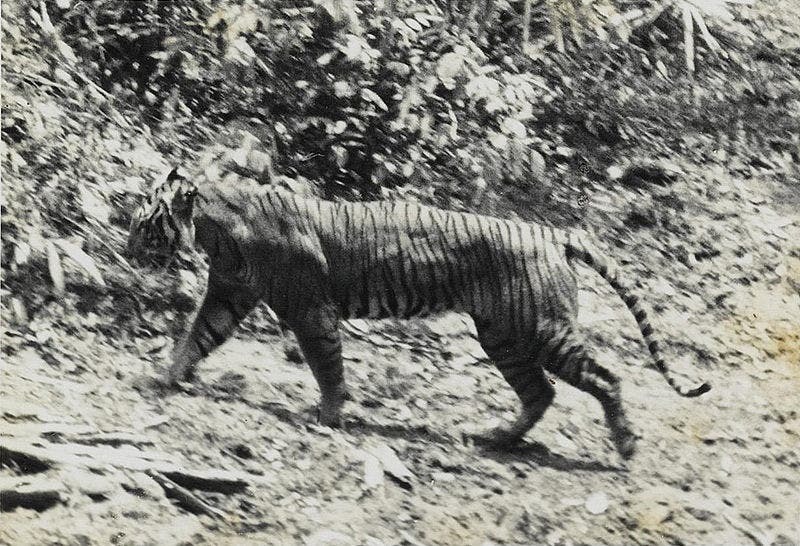 Up next is the Indochina tiger with only 200 estimated specimens. As for the Siberian tiger, only 300 remain, as reported earlier by us. In the Chinese calendar 2010 is the year of the tiger, with this in mind the World’s Wildlife Foundation (WWF) is running a huge campaign which will hopefully foster tiger popular growth. The campaign, dubbed WWF’s Tx2, aims to put in place the necessary conditions to double the wild tiger population by the next Year of the Tiger in 2022. Here’s what you can do to help! Like I mentioned earlier, three tiger subspecies have already gone extinct during this last century. Here’s some brief info on these once majestic creatures. The Balinese Tiger became extinct in 1937 and until that time they resided on the Island of Bali. They were very small tigers and their extinction was due to being hunted in large numbers. Sadly there weren’t any types of protection back then so hunting them for sport, to clear areas, and even for food was ongoing. None of the Balinese Tigers are known to have ever been kept in captivity. 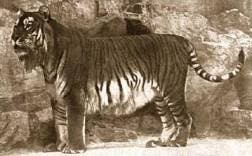 In the 1950’s the Caspian Tiger became extinct. There were believed to be a subspecies of the Siberian Tiger. 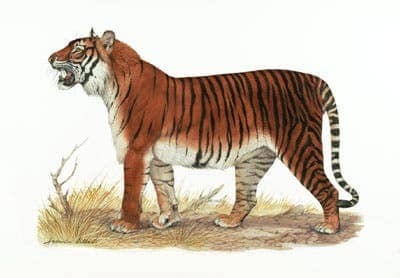 This was a huge loss to the people of Asia due to the huge connection that their culture has to the Caspian Tiger. You will still find it in their literature and their artwork. This symbol of bravery, strength, endurance, and life is one that they continue to pass on to new generations. The last species of tigers to become extinct occurred in the 1980’s with the Javan Tiger. Their loss was due to the combination of hunting as well as their natural habitat being destroyed. However, some people reported seeing them in the 1990’s but it could never be confirmed that was indeed the species of tiger that they saw.